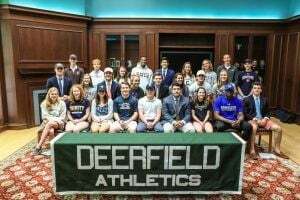 Before sending off the class of 2018 at graduation last weekend, the Athletics Department along with coaches and college advisors gathered on Monday, May 21st to congratulate 28 student-athletes who will be going on to play intercollegiate athletics next year. 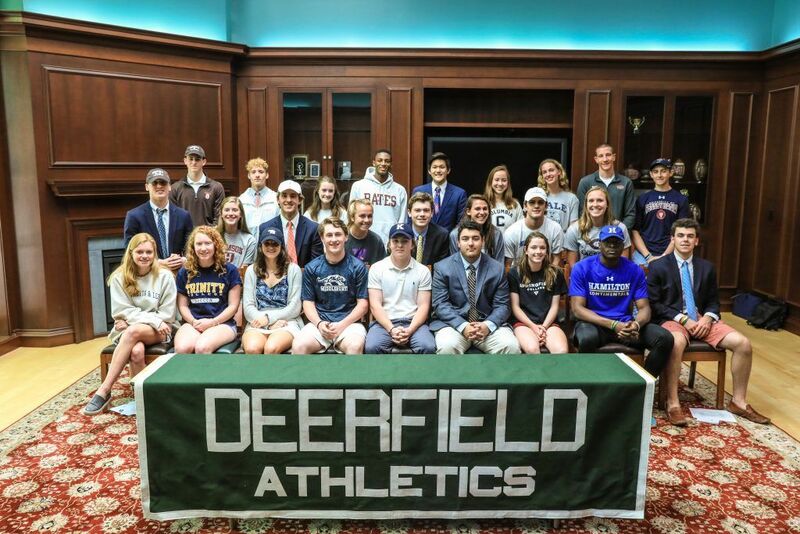 Earlier this year, the Athletics Department held a couple of ceremonies to celebrate ten additional student-athletes who signed National Letters of Intent to play collegiate athletics. 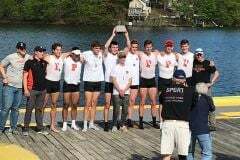 This year’s senior class included 186 members, 38 of these members will be continuing to pursue their athletic pursuits in the collegiate ranks. According to the NCAA, 6% of high school student-athletes go on to play in the NCAA. Approximately 20% of the class of 2018 will be continuing to play their sport at the next level. 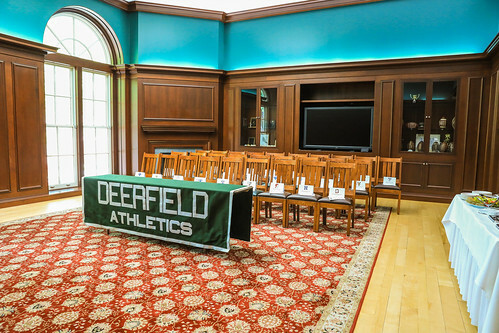 In the past two years we’ve recognized approximately 80 student-athletes who have or will be going on to compete at the DI, DII, and DIII levels, which represents on average 22% of these graduating classes. In their freshmen collegiate campaigns, the class of 2017 enjoyed success on the field. Griffin Thomas ’17 and his Yale bulldog teammates recently won the DI Men’s Lacrosse National Championship. Yale faced the Blue Devils and fellow Deerfield lacrosse alumni Joey Manown ’16 in the championship game. And, in the semifinal game, Duke defeated the Maryland Terrapins and Bubba Fairman ’17. This winter, two-sport collegiate student-athlete Meghan Halloran ’17 was named to the NESCAC All-League Second team for leading the Ephs women’s hockey team in assists and points in her rookie season. These highlights represent only a couple of the recent alumni NCAA successes. 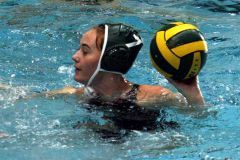 Stay connected with Alumni News for more college student-athlete updates! Click on the links below to learn where the Big Green student-athletes will playing collegiality next year. Pictures from the May celebration can be viewed by clicking here.